Wound Care Solutions specialises in healing complex wounds. Our innovative support service for Healthcare Professionals, General Practitioners, Practice Nurses, Tissue Viability Nurses and Nursing Homes is unique and ground breaking. Having developed our own mobile and tablet application and using the latest technology currently available our members are able to interact directly with our expert consultants from the patients location via our website. Using E-Health has positive outcomes when used in a home care environment. The data we collect from all our cases show healing rates increasing and the number of home visits and hospitalisations due to the wound related complications decreasing significantly. E-Health offers a unique alternative for delivering quality, cost effective care to patients with chronic wounds by providing a fast and effective care pathway to enable more rapid treatment for your patients. 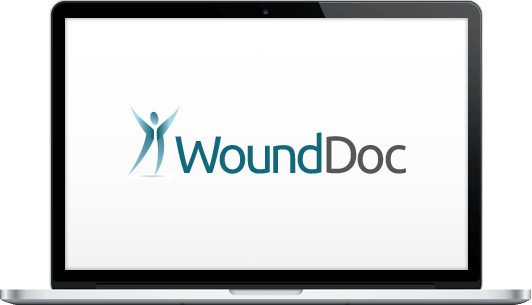 Wound Care Solutions secure login area allows members to upload images of patients wounds directly to our team of Consultants. This unique on-line tool enables us to make both a professional assessment and to offer additional advice to you on a particular wound within 24-48 hours. Wound Care Solutions provides prearranged private patient consultations at your home. At the consultation the team will go through with you your full medical history, they will need to know as much detail about your wound as possible especially as to when the wound started. This will assist them in making an accurate clinical assessment on your future care pathway with Wound Care Solutions. The assessment will take approximately one hour, during this time you will be provided with information about your particular wound. You will be able to ask as many questions as you like about the proposed treatment. The team will also provide you with written patient information to help assist you with wound healing. Our education and training program has expanded considerably. Both the education and training can be tailored to your own organisation. We hold study days that are RCN accredited for pupils of all levels. Healthcare Assistants, Consultants, multidisciplinary teams and allied healthcare professionals are all catered for. Through a collaboration partnership with Wolverhampton University we deliver education to pre-registration student nurses. We conduct research in collaboration with industry and universities investigating both wound care and pressure relieving products. Our research portfolio has grown, issues surrounding wound care and pressure ulcer prevention form the heart of our research. Providing robust evidence in wound care and pressure ulcer management is increasingly important in the context of increasing demands on NHS funding and the commissioning of highly specialised services.